Everyone has that or just me? Well i didn't receive my box until now too. But as you can read in the starting post, its normal that characters from the Mayhem league go into a void league after the event ends. So yeah you won't have access to anything you got during mayhem. Good job GGG, I only lost time without sense ... thank you GGG! No one's received their box yet but it's not uncommon for delays with this kind of thing. 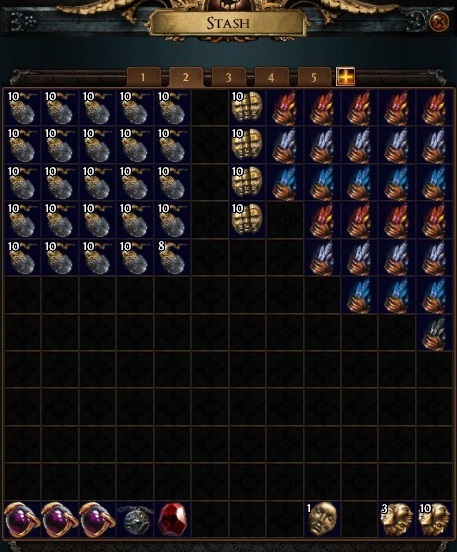 This is why GGG never gives a date on when they're distributing the rewards, but from past experience I highly doubt it'll take over a week. How is GGG's fault that you didn't read the event description? The event was stated to be voided, multiple times, in multiple different places including the very first post of this very thread in which you're posting. Due to the insanity of this event, it will be voided which means that characters and items will not migrate to parent leagues at the end of the event. As far as I'm aware no one forced you to play the league so if you played it only for the reward, you'll get it eventually. 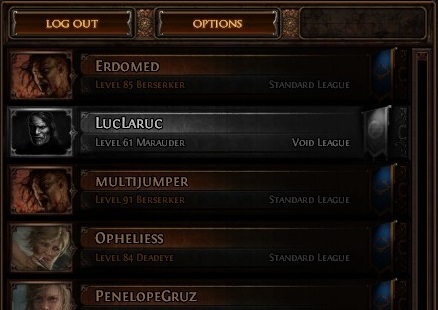 If you played it in the hopes that you'd keep your items then you really only have yourself to blame because it was very well stated that it was a void league. It's not GGG's or anyone else's fault you consider your played time a waste. Next time if you're not playing for the sake of enjoyment and your sole goal is to chase a carrot-on-a-stick, read the rules that define said carrot-on-a-stick. Yes, my fault and now before I take part in the event, the new league and update, I read the news on the forum ... I wonder if there will be enough free time to play. Was it okay I already deleted my Mayhem characters? Will that forfeit me from getting my rewards? AFAIR there was a note about this in race rules, saying that you shouldn't delete your characters before getting rewards. In general the month-long leagues are transferred to Standard, most of the races during race seasons are voided. Whether a short league is voided or not usually depends on the mods. You can count on Descent and Mayhem leagues being voided, while some are just whatever and almost always go to standard. But yes you're right in reading the news, as long as you and I and everyone read the league rules then there should be no disappointment. If I got a box from Turmoil, would I still get another box from Mayhem? I asked because I haven't seen a box from my lv86 char yet. Feeling being cheated after I just realized that the prizes were drawings... They could explain it better by saying "Note that the MTS are drawings, so if you are unlucky you could end up winning nothing". As long as you have a character 35+ in both Mayhem and Turmoil you will receive a box. You will still get a box as the character was on the ladder. I deleted my Turmoil character (35+) and I still got the box. Guys where i can pick up box? I don't think it's really necessary to keep the character though.